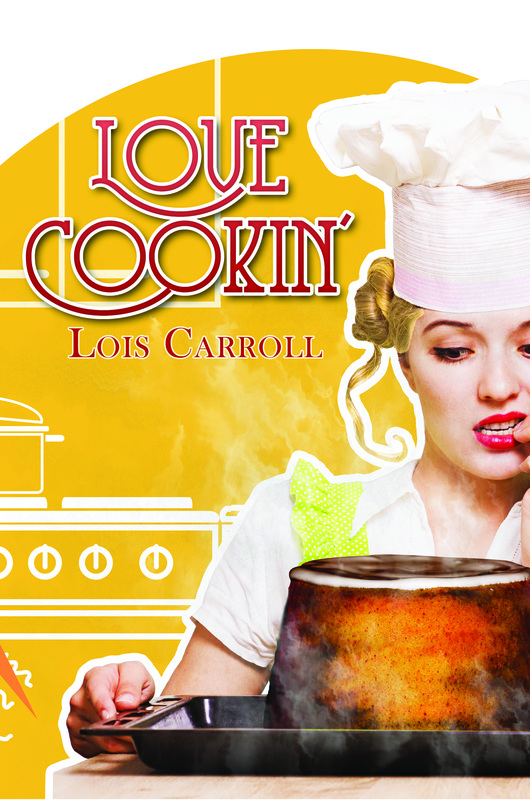 Sandi Cramer's TV show, Love Cookin', is nominated for an Emmy. She can't forget her early years around 1990 at the bankrupt little station in Iowa where her show began, and the man who came to town to make the station succeed or to fire everyone and shut it down. Josh Pressman saw her potential and a lot more. Attracted to her, he struggled to remember that small town girls like Sandi were off limits because they played for keeps. When "accidents" started happening during her show, he had to find the culprit to save the station and to protect Sandi. But when Sandi unwittingly helps the culprit, Josh is left with little choice but to fire her. That will end the station and their budding love. Smiling at the television camera, Sandi Cramer held out a beautifully arranged platter of cut fruit. A second camera focusing on the overhead mirror to see the details of what she was cooking, shifted in seconds to pan to the table where she drizzled a sweet lemony sauce over the fruit. "There. Now that we have the fruit ready, we'll see how those cranberry scones in the oven are coming," she said. "They must be about done by now." Her smile for the camera still in place as usual, the first cameraman switched to a head-and-shoulders shot of her. Unexpected sudden movements off camera caught her attention though she resisted looking in that direction or even frowning because all her shows went on the air live. But the floor manager was waving madly and pointing to the far end of her television-studio kitchen. As Sandi straightened behind the table, she glanced in that direction and saw what he had already seen...smoke pouring out of the wall oven. Her scones were in there. With a calmness she'd developed during just a year of doing this and other live shows on KANT, she crossed to the wall oven and quipped, "Oh, dear. Looks like we might have a problem with the scones." Pressing the proper square on the panel to turn off the oven first, she pulled on the pair of red oven mitts and cautiously opened the oven door. Smoke billowed out, and she had to duck back to keep her head out of the gray cloudy path that shot upwards with intense heat. Keeping her smile in place was getting harder and harder by the minute. Blinking against the smoke, she lifted out one of the sheets of burning scones, shut the oven door, and walked to the deep, stainless steel sink on the back wall of the set-kitchen. The pan was so hot she could feel it through the gloves that had shielded her completely in the past. At that same moment, two other things happened. The heat in the oven had gotten so intense that she heard a pop from the control panel at the top. The red temperature numbers that had been displaying the temperature rise suddenly disappeared and the whole panel was black. That had to mean the end of the oven's control panel. That was good. With the panel burned out, the oven was finally off. Or so she hoped. However, also at that moment, smoke still rising from the oven exhaust vents reached the fire and smoke detectors high on the walls of the studio. All the sprinklers that had been installed every few feet across the ceiling turned on with a sputter.